I saw Anne Murray at the Yale Bowl in 1972 when they used to hold summer concerts there. Wish they still did! Joni Mitchell reminds me of high school. a great set,thanks for sharing it. Wonderful selections. I love K D Lang's voice and intensity. They are all fine selections but I love Angel the very best. And she SCORES! This set is so smokin' hot, it's a good thing it's a soggy summer. I was crazybusy last week - as you know - so I'm just catching up to your Male version, as well. 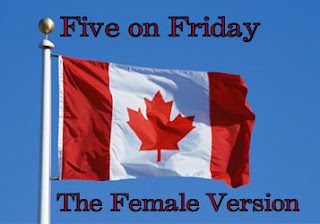 Both sets give a wonderful breadth of Canadian music. Thanks! Hope you had a good time in The Great White North. I've always been a fan of KD Lang. And Anne Murray is part of a special memory...learning to Waltz.